Becoming a home recording artist is a lot easier nowadays than it used to be. In fact, you may already have some of the equipment that’s needed just lying around. If not, then you’ll find that what you need is far more accessible (and cheaper) than it would have been a decade or two ago. If you dream of making it big in the music industry and want to record your own stuff, then this is what you’ll need as a beginner recording artist. First up you’re going to need some kind of computer or laptop – which you’ll likely already have. In most cases, it doesn’t need to be extraordinarily fancy. However, if you’re planning on editing and cutting tracks together, then you might want to look for a computer that has the tools you need. Apple Macs, for example, are quite popular with the creative industry. Many of them come preloaded with software that will be useful for a beginner. However, if you don’t fancy an Apple, then simply go for the fastest, highest-spec computer that you can afford. It’s seriously important! You’re not going to get very far as a recording artist if you don’t have a microphone! While many people think they can just record their voices on their phones, it really isn’t the same quality. Plus, nothing makes you feel more professional than a mic. You may want to invest in more than one if you’re planning on getting in backup vocals or other musicians. Different microphones are good for different things, so ensure you’ve done your research and worked out the best you can afford. Shure, Rode, and AKG are all good brands of microphones to keep an eye out for. Once you’ve recorded your first piece of music, you’re going to want to listen to it back. However, listening through tinny laptop speakers probably isn’t going to do your sound any favors. Instead, get yourself some decent headphones, to hear what you really sound like. You’ll also want to invest in headphones for when you’re actually recording the song – in order to hear the backing track and block any outside noise. For this, look for noise canceling headphones and ones that have been specifically designed with recording artists in mind. As mentioned earlier, some laptops or Apple computers will come with their own recording software. Others won’t. And sometimes you just won’t get on with what comes free with the computer anyway. You’re going to want to invest in software that is both recommended by industry experts AND easy to use, especially for beginners. Look for programs such as Wave, Nuance, and MixPad. You can also ask fellow musicians what software they use, in order to get a look at how easy it is to use before you splash the cash. Whenever you see someone recording something on TV and in movies, you’ll see that weird mesh screen covering the mic? 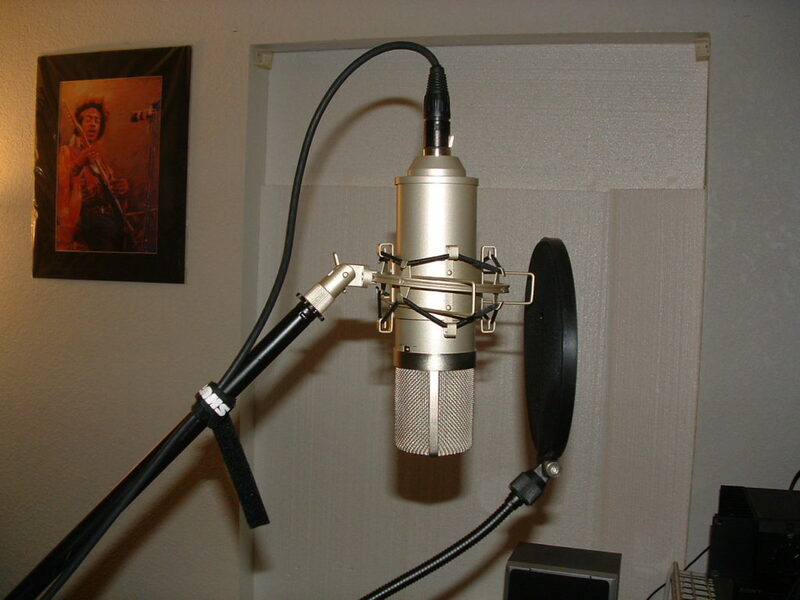 It’s super cliche, but it’s actually a real thing – and it’s called a pop filter. If you’re planning on recording a lot of vocals, then you’ll want to grab yourself one of these. 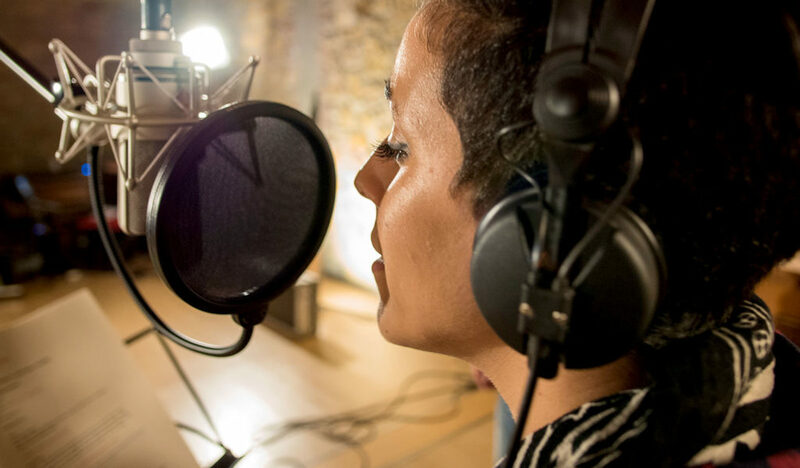 They basically stop the unpleasant noises you get when singing into a microphone, known as ‘popping.’ These tend to happen when you pronounce the letters P or B, but having a pop filter will… Well, filter them out! 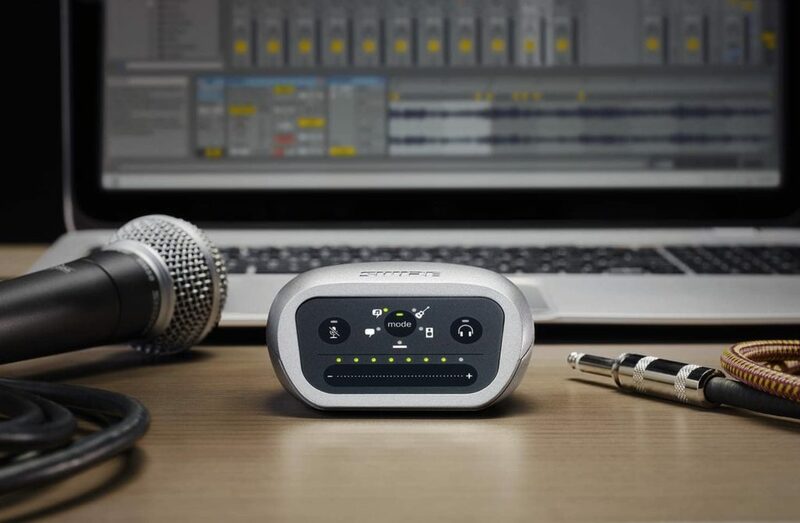 Once you’ve got hold of all five things, you’ll have your own mini recording studio at home! It may be expensive to get started unless you already have some of the stuff (or can borrow some), but once you’re topping the charts then who cares? !